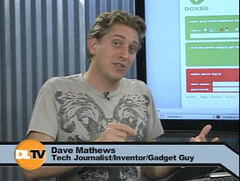 My buddy Robert Heron had me on his DL.TV show to talk about what it is like to be an inventor and to show my latest business endeavor, boxee.tv - a social media player. We got into what makes a good product, how to protect your invention with patents and an overview of how boxee can make your media better. It's a great episode! Take a look at show #244!